Shellac Stack No. 134 sings in the bathtub and does “The Kinkajou”! 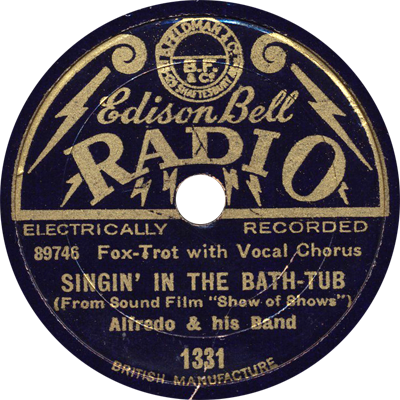 We stay in the 1920s and ’30s this time for some terrific pop and dance band records from the likes of Johnny Green, Ruth Etting, Henry Hall, Cass Hagan, Smith Ballew, Nat Shilkret, Johnny Hamp, and others.